Fireworks are my favorite part about the Fourth of July. In fact, as I watch the colorful, shimmering explosions in the air, if Whitney Houston’s rendition of “The Star-Spangled Banner” is playing in the background, it brings tears to my eyes. Yes, I have become my sentimental mother. 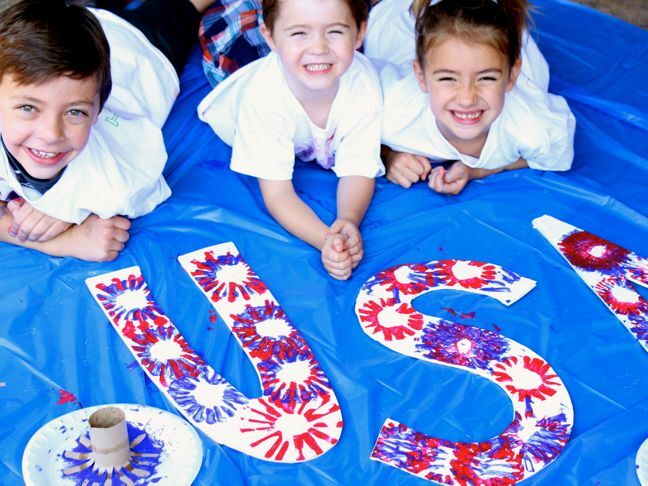 My kids love to watch fireworks, too. 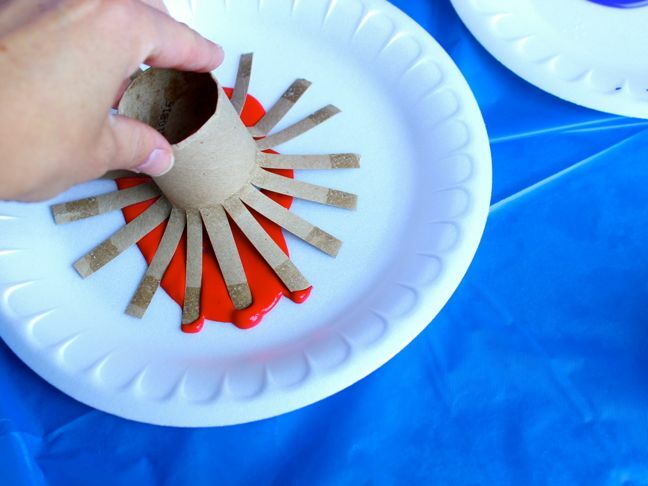 Before we stay up late to watch the night sky light up on July Fourth, we made fireworks with recycled toilet paper rolls. 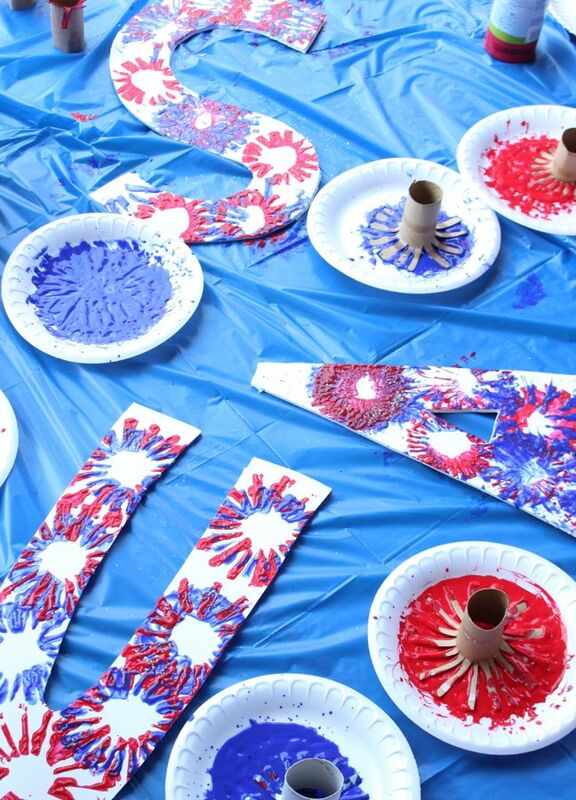 These toilet paper roll fireworks are darling—plus, there were no loud, booming noises or dangerous sparks flying. 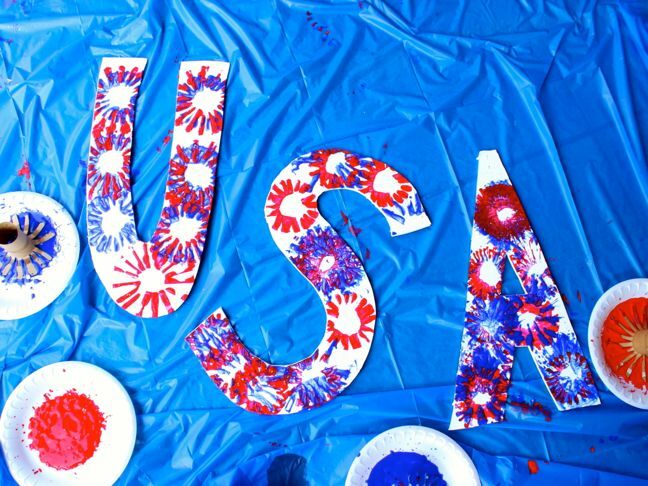 It was just good, old-fashioned painting fun to celebrate the red, white, and blue! 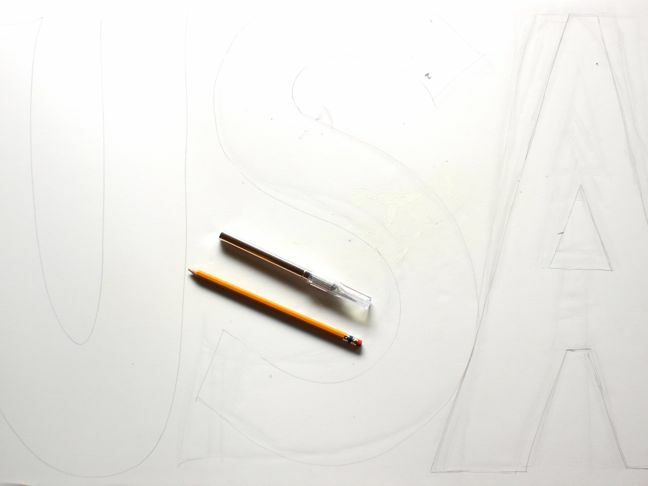 Step 1: Sketch USA bubble letters on a foam core board. 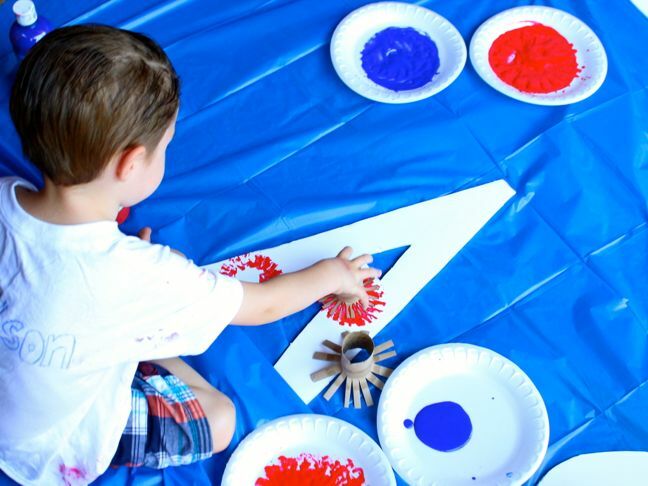 If you want to skip the bubble letters and make artwork on paper or a poster board, that works too. 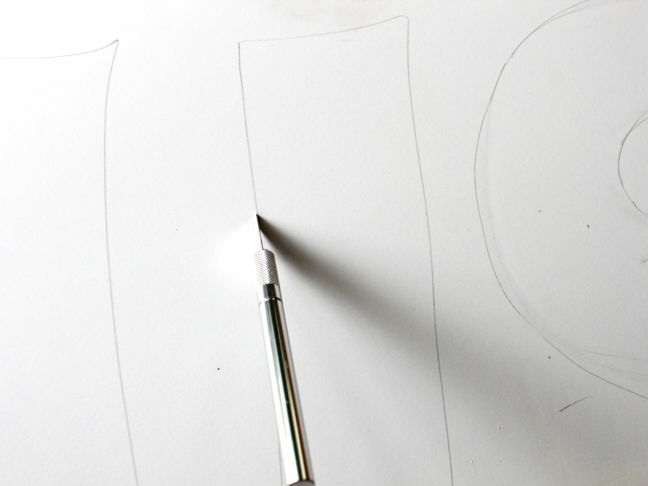 Step 2: Cut out the letters. 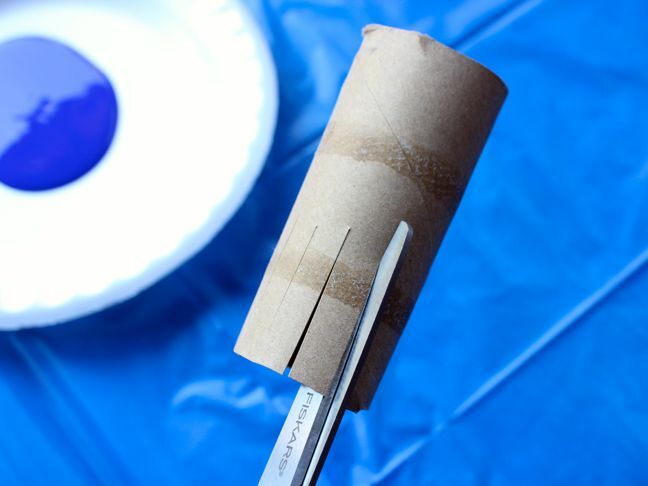 Step 3: Cut small slits on one end of the toilet paper rolls with scissors. 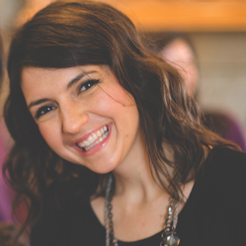 The slits can be about ½ inch apart and approximately 1 to 3 inches long. The longer the cut, the larger the size of the firework. I made a variety of small and large fireworks. 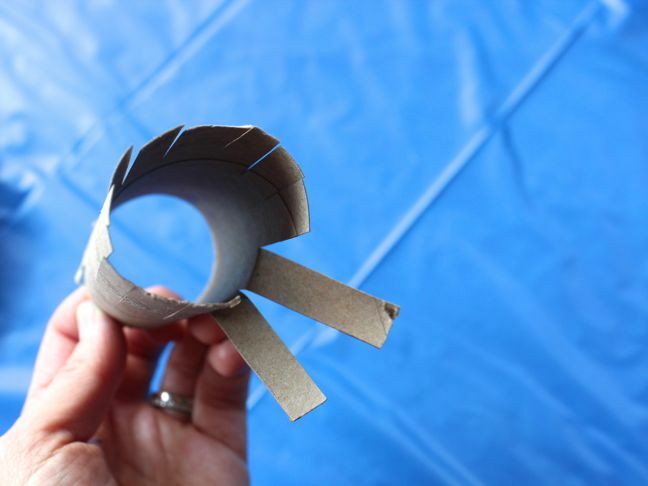 Step 4: Press or fold down the sides of the roll to the end of the slit. It should look like a flower bloom. 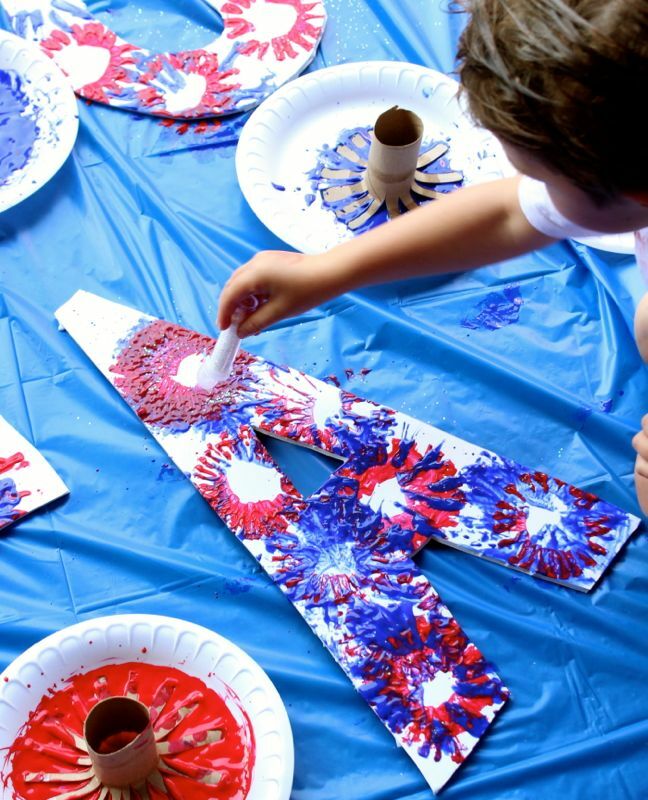 Step 5: Pour paint on paper plates, set out the letters (or paper) and “firework” rolls, and begin to paint! 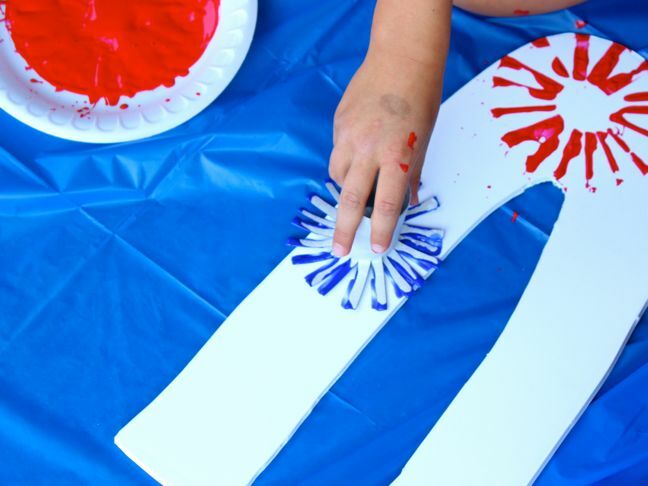 When you dip the firework roll into the paint, press down to make sure paint is on all the tips. 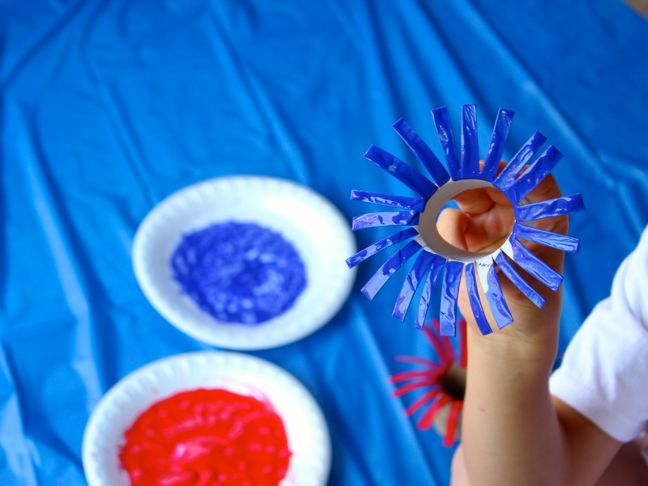 For application on the letters, press down, pull up, twist, and press down again to make a complete firework. The good news is mistakes are okay with this project. 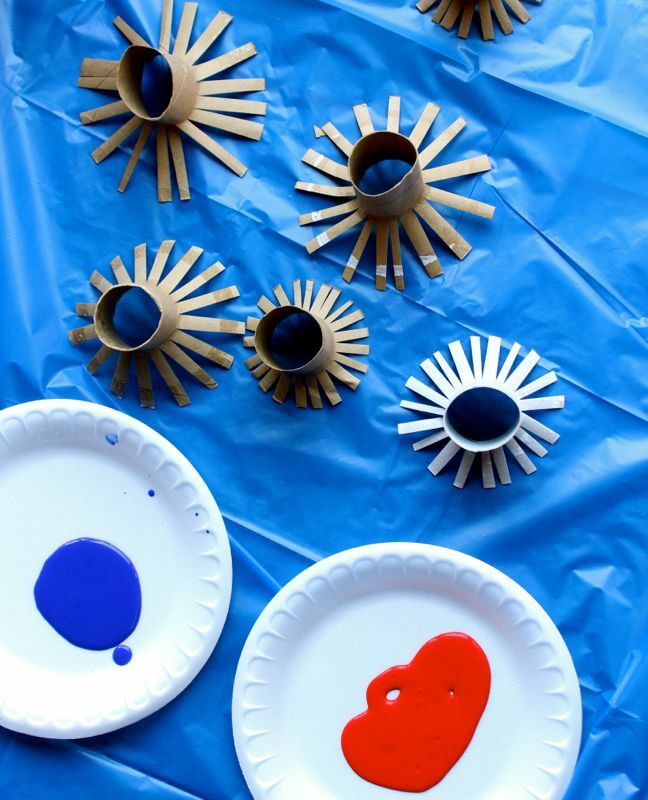 The kids will love the red and blue explosions on paper, plus they will love the process of getting messy in paint. Step 6: Top off the fireworks with sparkles.